Whether a natural disaster wipes out the power in your city or you just need a weekend to get away from it all, it’s nice to have your own source of power. But generators can be bulky, not to mention a nightmare for the environment. 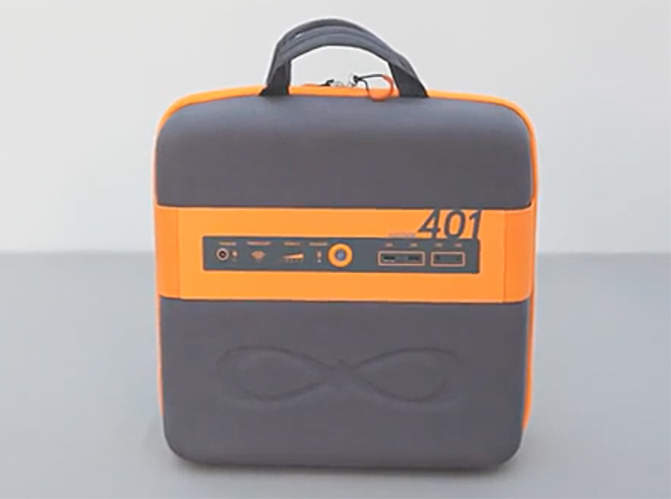 Enter KaliPAK, a portable solar-powered generator that fits on your back so that you can take it wherever you go. Portable, lightweight and self-sustainable, KaliPAK gives you the power to charge your devices with 4 USB charging ports and can easily be managed using your smartphone. There’s also room in the pack for your first-aid supplies and other necessities. Check out KaliPAK on Kickstarter, where you can get one below retail as an early adopter.